There is no shortage of iOS docks being pitched on Kickstarter. They’ve been a stable of the site’s technology section, and many of them look like they easily could have been conceived in Apple’s own labs. But one Kickstarter campaign isn’t interested in just selling another sleek, buttonless charging station for your iPhone. 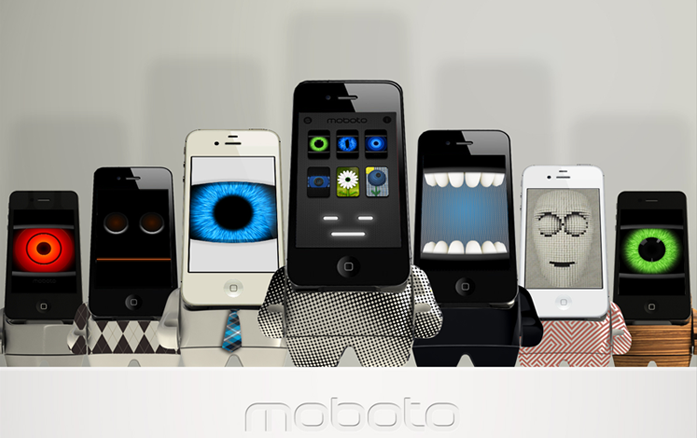 Moboto uses apps and various sensors from the iPhone to create a digital, interactive experience. For all our AI advancements, using your phone is surprisingly one-sided; even Siri failed to live up to her early hype. With what it’s calling “APPersonas,” Moboto will express itself based on your customizations and the data it collects from places like your phone’s weather sensor. Solomon also says Moboto will integrate with Facebook and Twitter for further personalization. Another element the team is working on is speech. Text to speech capability will be available in version one, meaning you can dictate something to Moboto – like a customized alarm notification or greeting. Solomon says they’re working on speech recognition for a future iteration, where Moboto could respond to you, for instance, by asking if you wanted it to play music when you walk in the room. “We’re deep in the sandbox playing with a lot of things around interactive speech and speech recognition,” he says. Not only would users have the option to customize their software experience with Moboto, but thanks to the explosion of consumer-facing 3D printing solutions you can put your own stamp on the hardware. “There are three main components to the dock: the main piece with the docking area that powers the unit, and we will always build this part,” says Solomon. “But the arms and the base are modular and connect with a twist and lock mechanism. So we’re going to give the connection packs out to anyone that wants them on MakerBot and other 3D communities so you can build your own.” He says Moboto wants to do this with the software as well, but it will continue to explore this option. 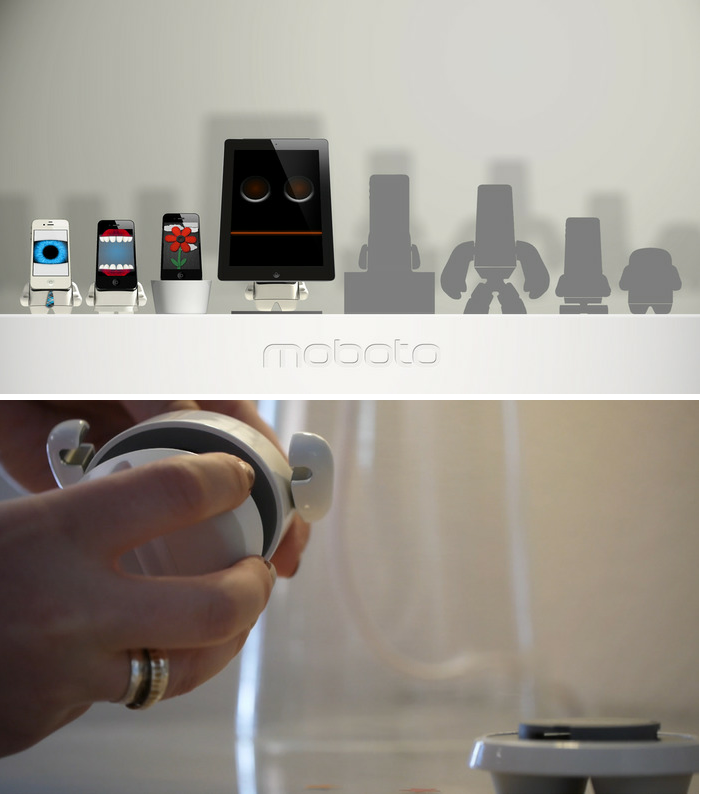 Of course, the iPhone/iPod dock is only the first way Solomon sees Moboto taking physical form. “We want to make any technology that you interact with have a personality, whether that’s the phone or storage, or audio, or a refrigerator.” He says Moboto is looking into developing for Android as well as moving into Web standards. At the moment, the campaign is nearing its end and Moboto still has about $373k to go. So if you like the sounds of a more personality-driven digital experience, head over to its Kickstarter page and get on board.